Renal adenocarcinoma and other kidney cancers account for approximately three percent of all cancer cases diagnosed. In 2004, about 35,000 new cases of the disease were identified in the United States. The outlook for kidney cancer patients varies greatly based upon the stage of their disease, their general health, and a number of other factors. 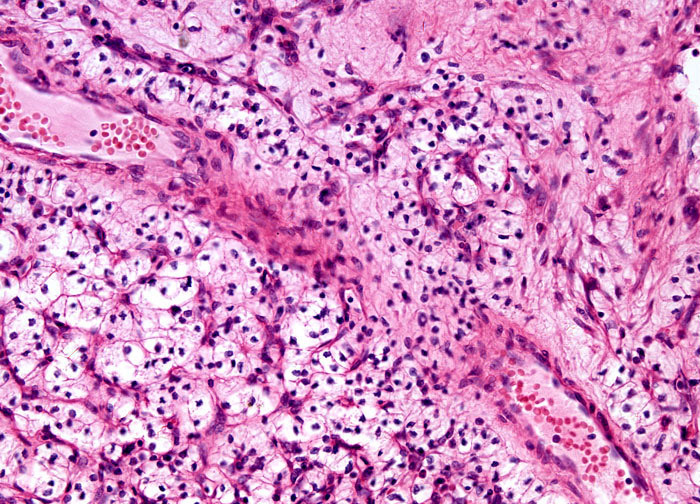 Approximately three-fourths of patients treated for kidney cancer that has not metastasized survive five years or more after diagnosis. Disease that has reached the lymph nodes or has spread to other organs in the body, however, is associated with significantly lower rates of survival.